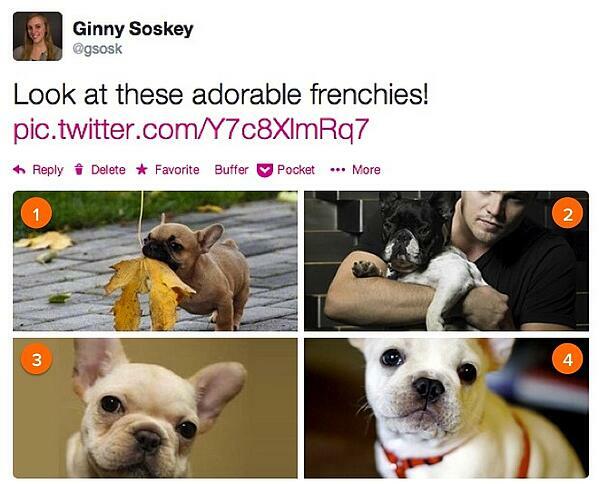 When Twitter first came out with photo collages, I was disappointed. 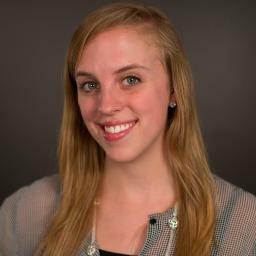 The feature was really exciting and opened up a bunch of doors for marketers ... but it was only available for iPhones. I don't know many marketers that have the time to track down an iPhone, send the right images for the collage to that iPhone, and then put the collage together while hoping that it'll look okay once tweeted. 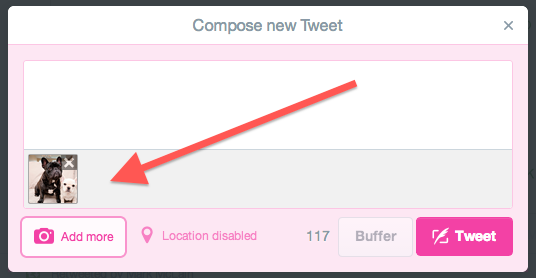 Twitter did say that the feature would soon be rolled out to desktop, but gave no official timeline. So I waited patiently, checking to see every so often if I could upload more than one photo in a tweet from my desktop. Every few weeks, I'd get the same result -- nada. But testing this out a few days ago, I struck gold. 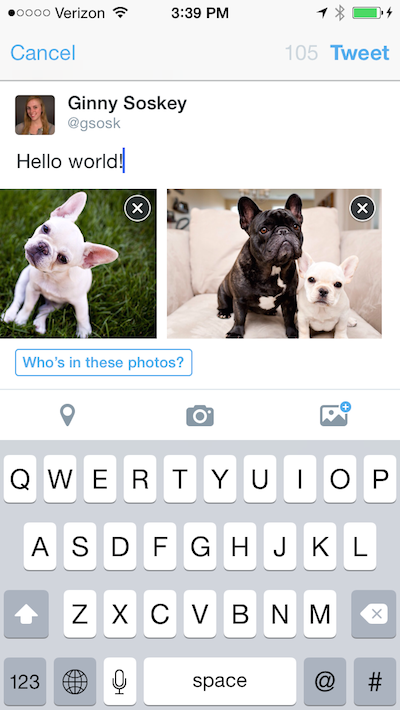 Though Twitter hasn't officially announced this yet, it seems like you can now create Twitter collages on desktop, iPhone, and Android. 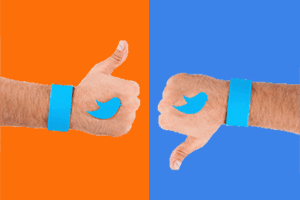 So, knowing that you're an enterprising marketer wanting to take advantage of new features that could improve your Twitter presence, I figured you'd want to get the inside scoop on it all. Below you'll learn how to make sure your images look great and how to post collages from both desktop and mobile. 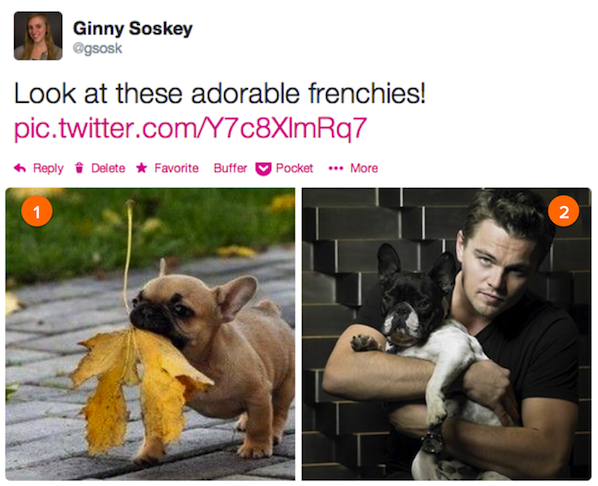 Bonus: All examples are using adorable french bulldogs (and one with Leonardo DiCaprio) because tutorials are much more fun that way. I know what you're thinking -- if you're going to use these Twitter photo collages, you want to make sure it looks great. When this feature was iPhone-only, it was reallllly hard to optimize your images -- it was kind of a guess-and-check game that required you to upload a billion different sizes and hope they would look okay in the collage preview. The following sizes are for how big they'll be in the preview -- if you want each image to be bigger when opened individually, just keep the same height to width ratio. Basically, the larger image on the left (used in two- and three-picture collages) is a square (approximately 277 px x 277 px). The images on the right (used in three- and four-picture collages) is about half as tall as the square image (approximately 277 px wide x 137 px tall). 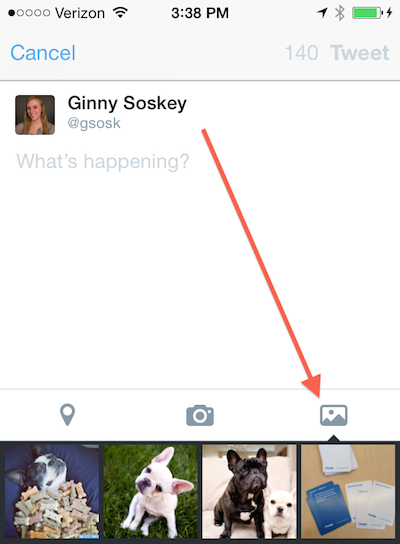 Twitter uploads images in a certain order depending on the order you select them in (more on that later). If you care about the order of your images, check out the images below to see in which order you need to select them. And that's about it in terms of optimization. Next up, how to actually post them from your desktop or mobile device. Once you've got the images you want in your collage in tip-top optimized shape, here's how you can post them from your desktop. 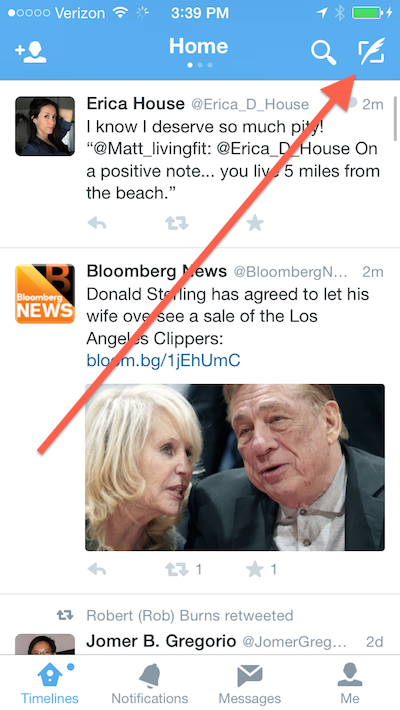 1) Click on the compose button in the top right-hand corner of your home screen. 3) Select the first photo you want to include in the collage. Yep, you're gonna need to add each photo individually. 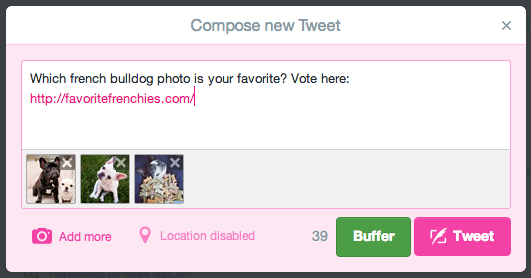 5) Once you add each photo you want into the tweet, add your text and/or links, then click 'Tweet. Voila, collage! 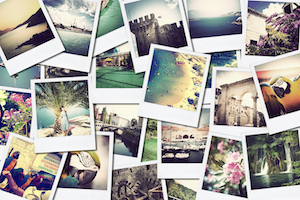 If you are on the fly, here's how you can post photos from mobile. Previously this was the only way you could post collages, but now you can also post from Twitter.com per the above instructions. Note: These screenshots were taken on an iPhone; your app may look slightly different. 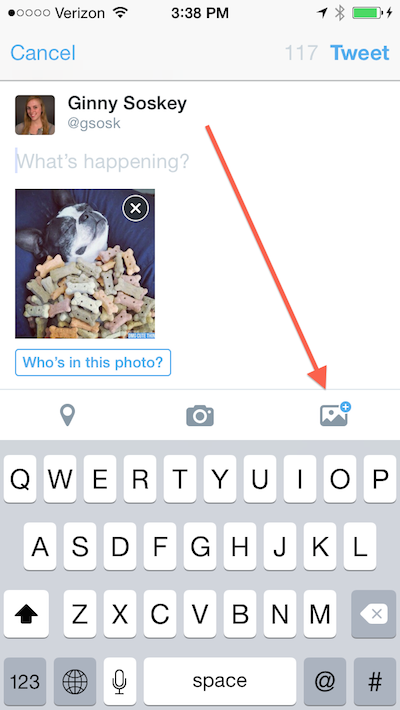 1) Select the compose icon in the top right-hand corner of your app. 2) Then, choose the first image you want in your collage. Select the camera icon in the middle if you want to take the image at that moment or choose the photo icon if you want to use images from your album. I chose the latter -- you might want to do the same if you have already optimized the images for the collage. 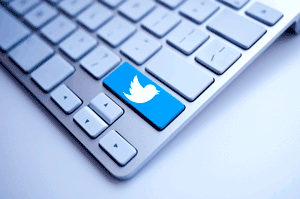 3) The image will get inserted into your tweet. To add to the collage, click the picture icon again (now it has the plus sign to signify it'll be a collage). 4) Select the images you want in your collage in the order you'd like them to appear. The number on the image designates the order they'll be in. 5) Then, voila! 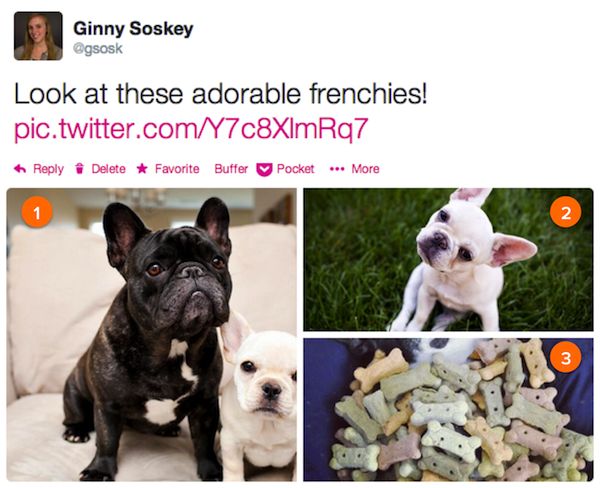 You're ready to post your fabulous (and potentially adorable) Twitter photo collage. And it's as simple as that! 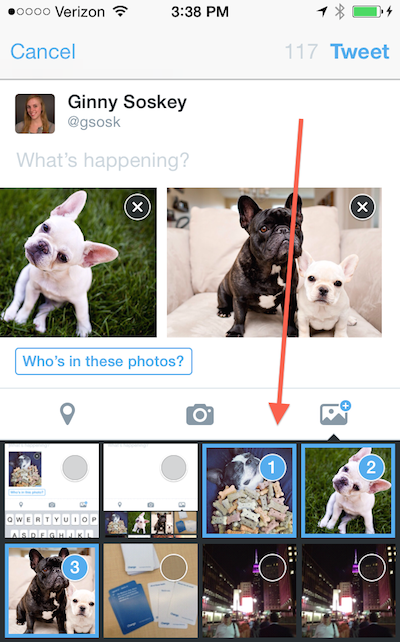 How do you think you'll use Twitter's collage feature? 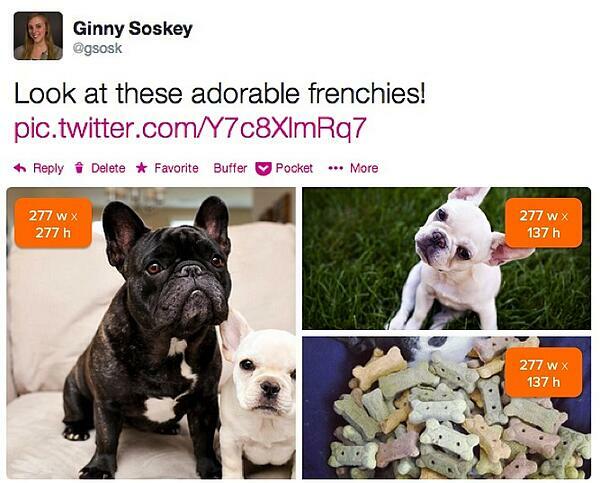 If you want inspiration for how to use these collages in your marketing, check out this post.